Homemade guacamole packs a punch well above the bought stuff. I know this my trade mark line (yawn yawn! ), but it really is a breeze to make and is so tasty you’ll be wishing you had bought more avocados. 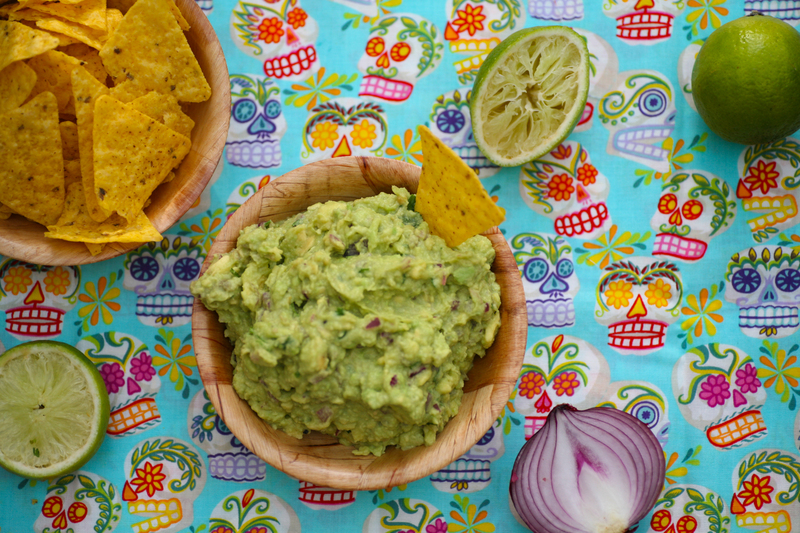 As well as being a moreish dip – I kid you not, if I leave the room with a bowl of guacamole and tortilla chips, when I return the contents of the bowl will be clean – it’s also the perfect filler for the Mexican pizza Tlayudas, pronounced something along the lines of (clae-yoo-das). These pizzas can be made with Middle Eastern flat breads/pittas a supply of which I always have in my freezer. It’s simply a case of piling on all the ingredients, with the flat breads sitting directly on a frying pan and then folding them over slightly to give the appearance of an thick taco. 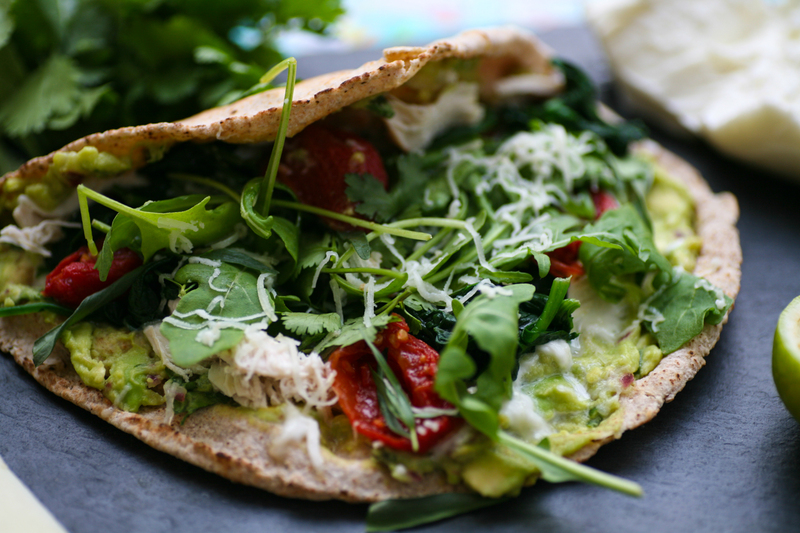 You can fill the flat breads with whatever takes your fancy, however I find that guacamole; shredded, poached chicken; mozzarella; pecorino; spiced sun blushed tomatoes; spinach; tarragon and rocket really hits the spot. Be warned eating this is not a tidy pastime. However, you can get seriously involved and at one with your food. Let me know if you give them a whirl and leave a comment below. 1. After finely chopping the red onion and chillies (I tend to leave the seeds in to give it that extra kick) place them in a bowl and mash them together a little before adding the avocado. If you don’t have a pestle and mortar I find a good sized bowl and an end of a rolling pin work really well. 2. Add the juice of one lime and stir well into the guacamole, along with the salt, pepper and the chopped coriander. 3. Taste and add the juice of a further lime if needed – down to personal choice. I love it limey so tend to add two. 4. Give a good stir and spoon into a serving bowl/dish. Place in the fridge whilst you are preparing the ingredients for the Tlayudas. Do not prepare too far in advance as the avocado will begin to discolour. 1. Poach the chicken (in boiling water for up to 20 mins) and then shred it using a fork. Place to one side. 2. Place a saucepan on low heat and add the butter. Once it has melted add the washed spinach and cook for a minute until the spinach just wilts. Remove from the pan and strain the spinach, pressing down firmly with a spoon so that the water is removed as far as possible. Place to one side. 3. Heat up a large frying pan and when it is hot add a flat bread and press down gently. Sprinkle a drop of water and turn the flat bread over. Now you need to work quickly. Spoon on a generous helping of guacamole followed by the chicken, mozzarella, slow baked tomatoes in chilli, spinach, rocket, salt, pepper and some grated pecorino/cheddar. 4. The flat bread will begin to crisp up quickly and the mozzarella begin to melt, so carefully begin to fold the flat bread over. With a spatula lift the pizza onto a plate and serve immediately. 5. Repeat until everyone is served. Dive in and enjoy. Don’t forget the napkins. This entry was posted in Chicken, Snacks, Vegetable and tagged avocados, chicken, flat bread, guacamole, lunch, Mexican, Mexico, pizza, supper, Tlayudas. Bookmark the permalink. Loving your blog and all the recipes. 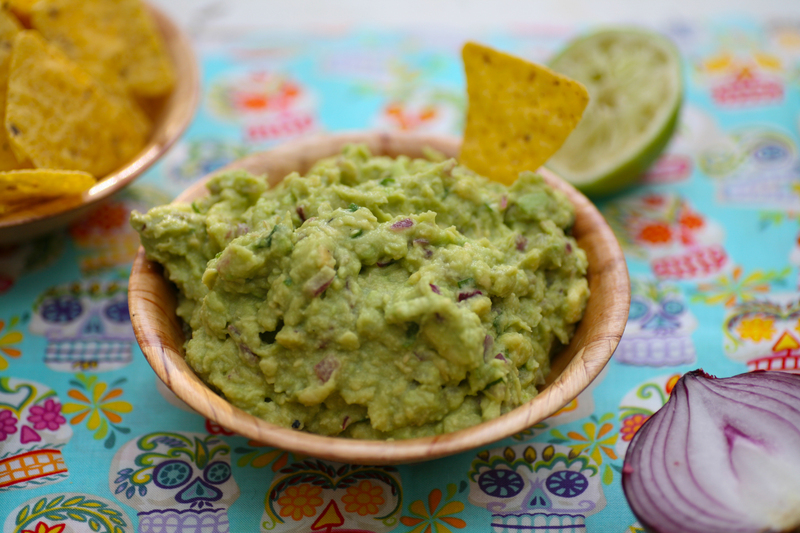 However if you love spices so much , try adding a bit of roasted cumin powder and a some chilli powder to your guac. You wouldn’t have it any other way once you have tried it. Thanks Taru for your suggestions I will try it. I tend to like fresh chilli in it as I like the different textures and the kick. Cumin powder is a nice idea too.